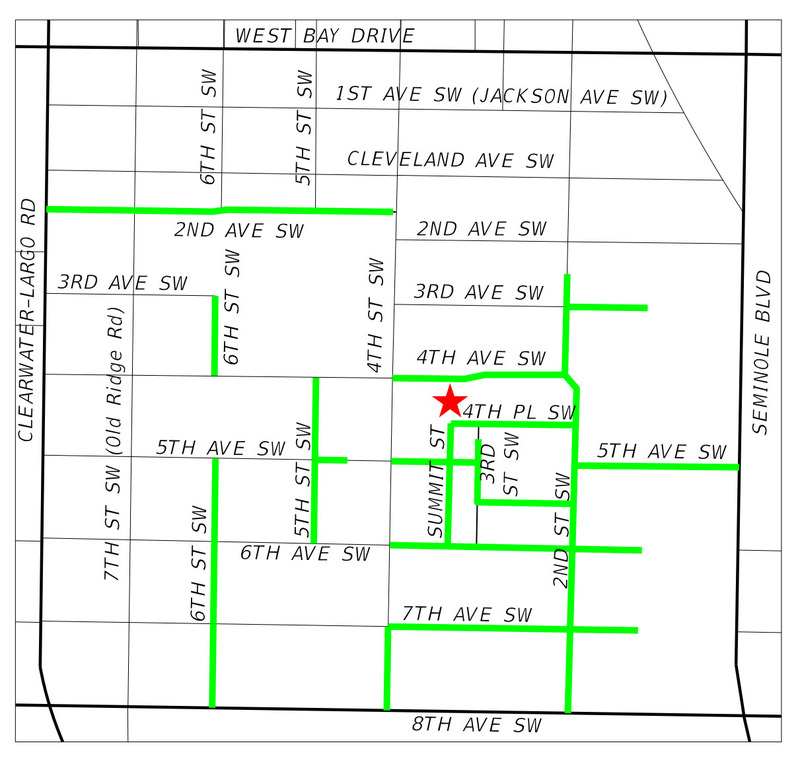 Improvements to the 2nd Avenue SW area roadways and sidewalks are underway. These improvements include roadway resurfacing, sidewalk installation, ADA enhancements, and minor drainage improvements. Notification letters have been sent to residents. Construction began in September of 2018 and is expected to be complete by the Spring of 2019. Construction activities will be performed Mondays through Fridays, 7am until 5pm, for the duration of the project. Inconveniences during construction (temporary lane closures, intermittent access to sidewalks and driveways, etc.) will be kept to a minimum. The contractor will provide notice via door hangers if impacting driveway access. Please remove any private property (i.e. : gardens, landscaping, signs, fences and decorations) from the right-of-way prior to construction. Fences along the public right-of-way may be removed by the contractor and later re-installed after the construction activities are completed at that location. Any irrigation systems impacted by the construction will be restored. Coordination with residents may be required to complete any restoration work. For questions or more information, please contact the City's Program Engineer Megan Dion at 727-587-6713 or mdion@largo.com.